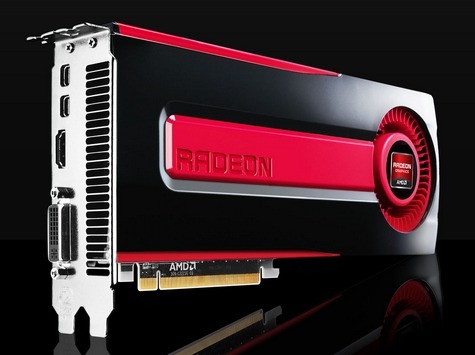 Badly beaten by NVIDIA’s new GeForce GTX 680 and 690 graphics cards, the US chip maker AMD is getting ready to release a new breed of Radeon HD 7000 video cards that will feature increased core clock speeds that hopefully will regain the lost 3D performance crown. The new cards will be known as “GHz Edition”. Aiming at the high-end market AMD now works on a new “GHz Edition” of its flagship Radeon HD 7970 graphics card that will come with default core speed of 1 GHz – up from the current reference clock speed of 925 MHz. The novelty will target NVIDIA’s high-end GeForce GTX 680 and GTX 690 products. The “GHz Edition” attempt by AMD is by no means something new. AMD video cards with manufacturer increased clock speeds have been on the market for quite some time but AMD now says that better yields, improved technology and lower voltage requirements allow the production of AMD certified GPUs that can reach 1250 MHz, making the 1 GHz mark an easy target. The launch of the 1 GHz version of the HD 7970 is expected to occur very soon so now what remains to be seen is NVIDIA’s response to the new AMD threat.